TUESDAY, Jan. 26, 2016 (HealthDay News) -- If you're trying to quit smoking, using the nicotine patch, the drug Chantix, or a combination of the patch and lozenges all appear to work equally well, researchers report. "To our surprise, all three treatments were essentially identical," said lead author Dr. Michael Fiore, director of the University of Wisconsin Center for Tobacco Research and Intervention in Madison. Results of the three approaches did not differ significantly at either six months or a year, the investigators found. At six months, the quit rate was 23 percent for the patch, 24 percent for Chantix, and 27 percent for the combination of patch and lozenges. 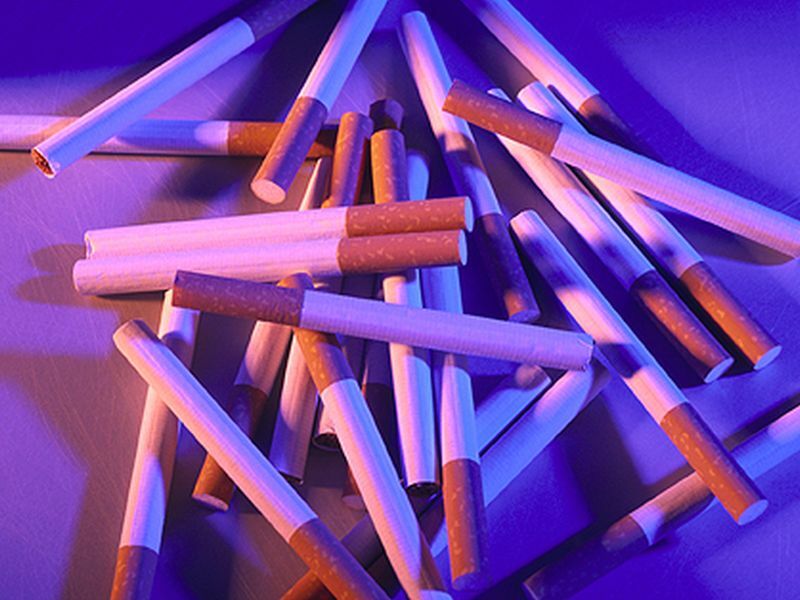 At a year, the quit rate was 21 percent, 19 percent and 20 percent, respectively, the findings showed. In the past, Chantix (varenicline) or the combination of the nicotine patch and nicotine lozenges were shown in studies to be more effective than the patch alone, he said. "But no one had compared them," Fiore explained. Although the reasons why the treatments worked equally well aren't known, wanting to quit smoking has a strong effect, Fiore suggested. "A person's desire to quit is really powerful," Fiore said. "The treatments are important and boost quit rates, but that in no way discounts the incredibly powerful influence of a person's commitment to change their behavior -- particularly a behavior so dangerous as smoking is," he said. The report was published Jan. 26 in the Journal of the American Medical Association. Patricia Folan is director of the Center for Tobacco Control at Northwell Health, in Great Neck, N.Y. She said, "When a smoker tries to quit, there are many factors that influence their decision to try to quit, and their ability to stay quit." Reasons people quit include doctor's advice, family pressure, the impact of smoking bans, the cost of smoking, and anti-tobacco ads. In addition, not smoking again depends on motivation, support, level of comfort and use of cessation medications, she said. "While studies have demonstrated that cessation medications are an important factor in quitting, a comprehensive approach to quitting is often necessary for success," Folan added. In their head-to-head comparison, Fiore and his colleagues randomly assigned smokers to one of three 12-week programs: the nicotine patch only; Chantix only; or the nicotine patch plus nicotine lozenges. In addition, participants were offered six counseling sessions. According to Fiore, all the medications were well-tolerated. However, people taking Chantix had more frequent side events, including vivid dreams, insomnia, nausea, constipation, sleepiness and indigestion. Pfizer Inc., the maker of Chantix, said in a statement that the results of this study are inconsistent with findings from previous research that reported "superior efficacy of varenicline [Chantix] and combination therapy, compared with nicotine-replacement therapy alone." Moreover, the best type of trial is one in which people randomly receive Chantix, or nicotine-replacement therapy or a placebo, but not know which. However, such a trial has not been done, the company said. Folan said that the latest findings may have been skewed by the type of people who were studied. Specifically, most smoked less than a pack a day and most had tried to quit before. "Prior experiences with quitting, the fact that they were not heavy smokers, their motivation to quit and the provision of counseling sessions most likely had an impact on their quit success, regardless of the medication used," she said. Dr. Len Horovitz, a pulmonary specialist at Lenox Hill Hospital in New York City, said that "most of the people who quit are those who want to quit." He also said that it's not surprising that replacing nicotine by any means results in the same outcome. In addition, Horovitz said many of his patients are unwilling to take Chantix because of its side effects. Horovitz added that for many smokers, several tries are needed before they can quit for good. "Just because you have gone around the turnstile once or twice and have not quit does not mean that you are doomed to fail. In fact, the more times you try, the more likely it is that you will finally succeed," he said.